Over the past few days I ran into issues where my servers would become slow or unresponsive while running backups. After some digging around I am pretty sure it has to do with the Windows system File Cache. Fortunately Microsoft has a Module to help control this issue. Its no secret that I am not a big fan of Windows 8. 20+ years of innovation thrown out the door, because somebody at Microsoft wanted to be cool. 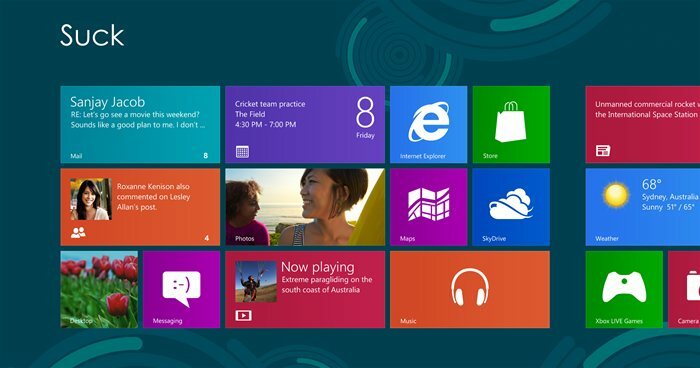 Here is how Microsoft could Redeem themselves with Windows 9. 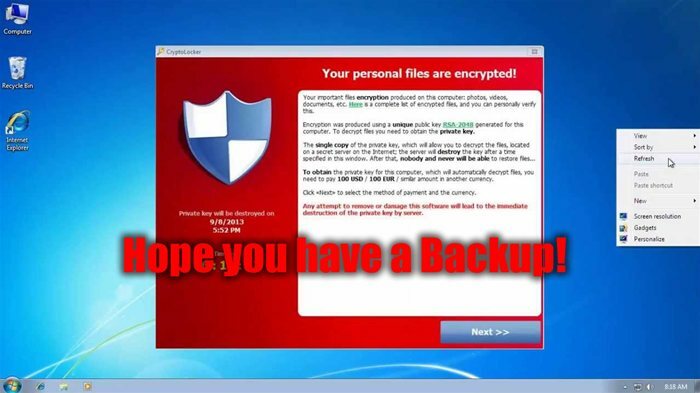 A new wave of Ransomware has been infecting people's computers. Its called Cryptolock. I can show you how to remove it, but not how to restore your files. For that you need a backup. Windows Backup works well. If you are reading, then its likely that you recently ran chkdsk ( check disk ) and after it was done you found that many of your files were missing. Recently my computer told me to run chkdsk because there were problems with my 2TB SATA hard drive. Afterwards many of my files were missing. However don't worry, most of your files are still there, just look for a directory on the root of your hard drive called found.000 ( its hidden ). Everybody knows that in order to properly preserve Google Page Rank when you are moving a page on a site, you need to perform a 301 Redirect to the new page, as this tells search engines this is a permanent move, and to record it into their index. However few people realize the additional problem of duplicate content across multiple domains. So if you have both your domain and your www subdomain pointing at the same site, its likely that google is penalizing you for this. 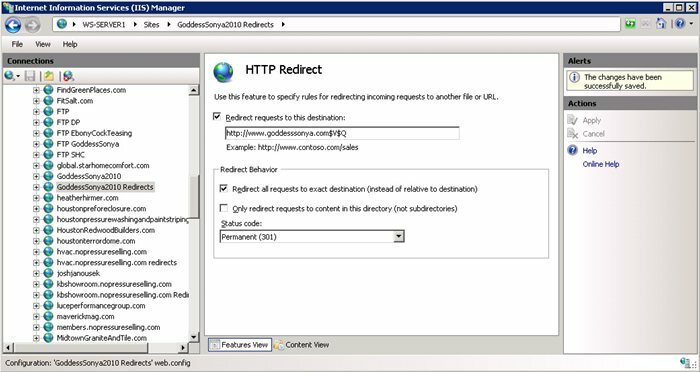 So in this article I show you how to properly setup a website with multiple domains using IIS 7.5 and 301 redirects for good SEO. Lets pretend for a second that Steve Ballmer was hog tied and thrown into a closet, and you were given free reign to make the next version of Windows Look the way you want. Here are some of my suggestions for Microsoft. If your websites are going down, due to your application pool failing, or being automatically shut down after a few application errors, then you have a major problem on your hands. In my case the symptom was A process serving the application pool suffered a fatal communication error with the Windows Process Activation Service, in my system logs. If you have each website running in its own application pool then you know which website is going down, but the errors being displayed give you no hints as to the cause. I recently had a website that was randomly going down. Sometimes it would go down every few days, and other times it would only crash once a month. So I finally did some digging for the cause, and found it. If you don't know where to start in debugging your crashed application pools, this might help. If you are like me you take server security very seriously. You lock down all your ports, and you even firewall IPs that try to use exploits. But eventually you determine that non of your clients do business in China or Russia, and its easier to just block those countries, rather than trying to block individual IPs. Well this brings another problem. 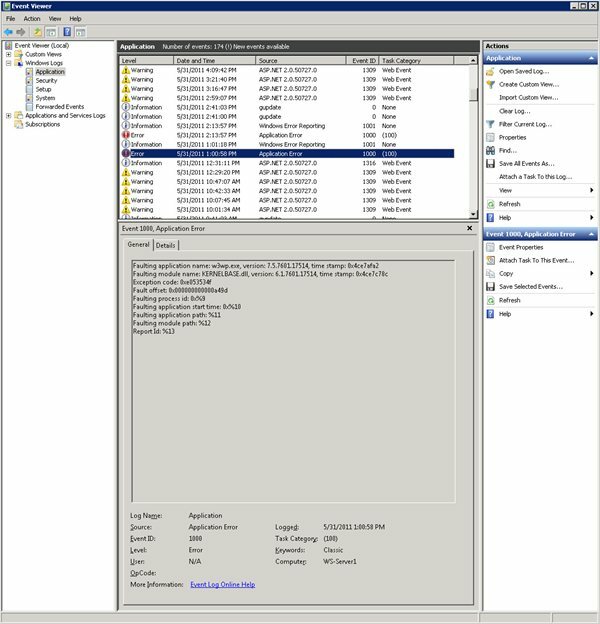 Windows Server 2008 R2 has no user friendly way to do a bulk import of IPs. Luckily I found a VB script that you can run and it will automatically add the IP blocks you want to block. So I finally have made the move to SSD. Unlike many who went with a single SSD drive I went with an SSD raid 0 Array. Using 3 OCZ Vertex 2 60 GB SSD drives, I setup a RAID 0 array on my ASUS P6T Deluxe Motherboard's built in Intel ICH10R SATA controller. The benchmarks were outstanding. Maybe I could have gotten a little better performance from using a dedicated RAID card, but 700 MB/sec read and write is good enough for me. 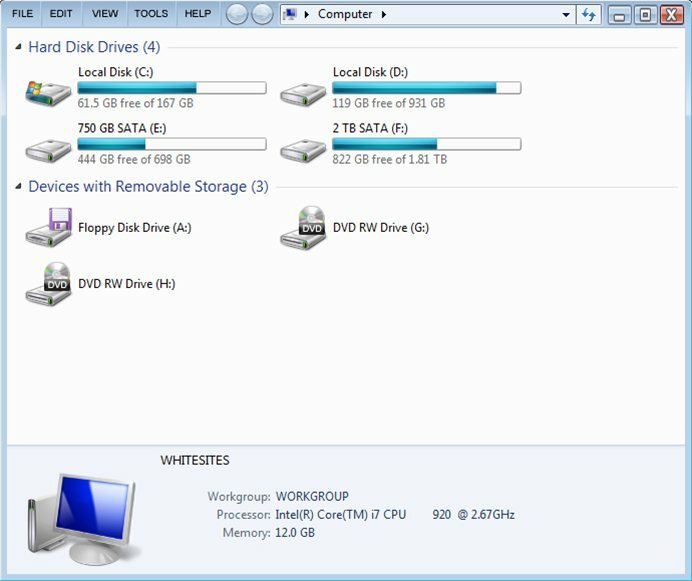 During my quest to upgrade my computer from my 4 disk SAS raid array to a 3 disk SSD raid array, I had a few learning experiences with the windows 7 backup and restore system. Hopefully my tips will help others.